925 Sterling Silver Torah Crown Ornament with bells, all 925 sterling. Fits Ashkenazi Torahs. These crowns come with adjustable slots to adapt well to most Torah scrolls. 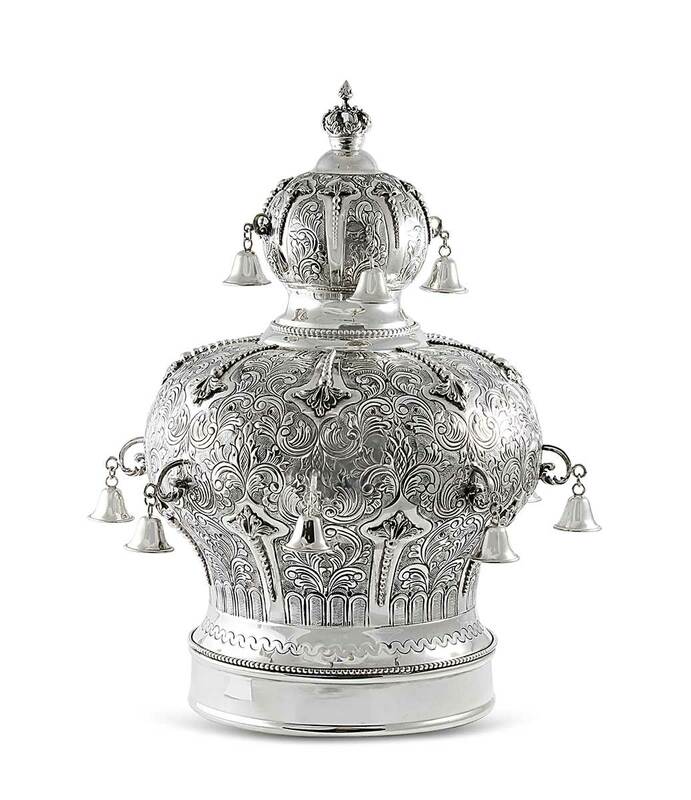 We can have this Torah Crown professionally engraved with names or any text, more options as you proceed to checkout.